Bespoke versions of this course have been delivered to permanently employed teams of private clients and is also available to foreign governments. It is seldom open to the individual due to the cost and duration. Contact us if you are a group with a minimum number of 8. Please note that this course does not subscribe to the low standard imposed by the SIA and therefore no UK license will be gained as a result of attending. The 8-week Mobius Advanced Close Protection Course is the most in-depth and comprehensive course of its kind anywhere within the private sector – anywhere in the world. The course encompasses every element of conventional and unconventional Close Protection Tactics, Techniques and Procedure, (TTP’s). Our standards are such that our training has been modeled on a combination of the UK Police National Protection Officers Course, UKSF PS1/2 and the Royal Military Police Close Protection Course only varying where it adheres to the legal constraints of the civilian environment. The course, although inclusive of all SIA imposed minimum training core competencies, has been designed to include all Reactions To Attack, (RTA), concerning attacks involving hostile surveillance and throughout all levels of physical attack; unarmed assault/ knife/ shoot/ multiple shoots/ fragmentation grenade and bomb, and training scenarios to cover foot and mobile moves throughout all potentials. When designing the course it was imperative that the location of the course provided the best training environment in terms of facilities; gymnasium, shooting ranges and crowded areas and that the course content matched the requirements with the instructors involved being experienced ex-government service. 1. To teach all fundamentals of professional Close Protection Tactics, Techniques & Procedures to a proper, fit for purpose advanced level, within the commercial environment constraints, to that on par with government units. 2. To concentrate on overt and covert Close Protection of a high profile individual in a multitude of environments up to extreme high threat. 3. To train and select suitable candidates to work as Close Protection operators within the top tier of the commercial CP sector. This course will produce students with the skill sets and efficacy to make them deployable within environments as near to government level as is commercially possible. Through proper selection, correct demonstration and extensive testing, it will act as a filtering process to ensure that those entering the profession understand the personal standards that need to be maintained, and make sure that they possess the requisite knowledge of how to properly conduct protection operations. Mobius Training Wing has achieved a workable, ‘fit for purpose’ standard that meets the requirement desirable within specific government protection units, making it exceptional within the commercial industry. Such are the standards of training that Mobius International will bracket successful candidates with our former government trained operators for future employment within a team environment dependent on the nature of the operation. You will learn specified methods of operational Close Protection Tactics, Techniques and Procedure used to counter attack and counter surveillance; the importance of discretion, low-profile protection tactics and protective surveillance, whilst simultaneously conducting an effective counter-surveillance programme in order that you can reduce the Principal’s exposure to the risk of threats, maximise the level of security afforded and maintain a high level of image for both the Principal and that of the CP Team. The two extremes of training that operational requirements dictate; from government level Reaction/ Attack Live Firearms Tactical Training through to knowing how best to deal with sensitive situations surrounding (e.g.) the Principal’s family, friends, close associates and staff; their preferences and etiquette. Mobius provide the foundations and training to deal with every conceivable aspect of providing protection for high profile or UNHWI’s. The course has been developed with an all-inclusive approach to the protection of individuals encompassing all the necessary rudiments of security knowledge and physical skills needed to ensure the protection of a person from both identified and unidentified threats and risks to life and personal safety. Students will be taught to identify what threats are or may present and assess the exposure (risk) to those threats. This learning process is a continuous one throughout the course and involves effective planning, dynamic threat assessment, and preventative measures to mitigate risks to threats. Students will be constantly tested throughout as to their demeanor and actions (verbal, non-verbal or physical), their standards of appearance and standards in pro-action and reaction and their combination of threat awareness, deterrence and prevention and CP tactics to combat threats and the covert methods of deployment in detecting those threats. The course is physically demanding and attendees must have an excellent level of health and fitness. B’s experience of the security industry started in London’s Metropolitan Police Service where he made a career in New Scotland Yard’s Special Branch and latterly, the Specialist Operations Protection Directorate. After being a Developed Vetting (Top Secret) detective for twenty years he left the service in 2008 to be appointed as the private UK Head of Security to an influential overseas royal Head of State before conducting the same role for an ultra high net worth international businessman, and their respective families. Providing specialised national security services to the highest professional standards in the Special Branch included work as an intelligence officer, an operational manager for a large anti-terrorist surveillance team and, for many years, specialising in Close Protection. This latter role entailed working at the very pinnacle of power with appointments as the Personal Protection Officer (PPO) to four serving and past British prime ministers (two whilst in office), senior Cabinet ministers, overseas heads of state, royalty and senior government ministers, ambassadors and military generals. These protective services have successfully covered the globe working at senior government and local levels including countries associated with low infrastructure and high risk, and war zones. In acknowledgement of his dedication to and excellence in services to close protection B was presented with a special award before leaving the service. With a desire to promote the same exacting standards, as an operational practitioner B served as a lead trainer to aspiring officers from all backgrounds destined to work with both the British royal family and senior UK government ministers. He also designed and successfully managed the police service’s first private close protection course delivered to a prominent community security team of volunteers. The rewarding role in training culminated in several years dedicated to leading the national course by representing the Association of Chief Police Officers (ACPO) as Course Director and lecturing to police services throughout the United Kingdom. He simultaneously served on the Metropolitan and National Police Close Protection Training Committees and as part of a small, select national team he wrote the police national close protection training course that received national accreditation and international recognition. This broad, accumulated experience led to a number of global overt and covert analytic and training projects engaged as a Subject Matter Expert (SME) for the British government Foreign & Commonwealth and Home Offices, in the UK and overseas. Such projects included other police services, protective units and national security agencies and spanned numerous countries in five continents. He was personally invited as a Guest Speaker by the Australian Attorney General’s Office to a national close protection symposium in Sydney, New South Wales and continued his travels to lecture to specialist departments in several other Australian cities. On leaving the police service B’s passion for excellence was recognised by being asked to sit on the National Security Skills Advisory Group that reviews the National Occupational Standards for close protection and was subsequently invited to be a member of the National Close Protection Consultation Group where he remains as an advisor. The transition in 2008 from UK government to the unique and discreet private ‘Family Office’ environment has meant utilising his knowledge and experience to benefit private individuals and their families. In providing government standards with a very personal touch B has successfully managed to securely accommodate the nuances and combination of an individual’s personal, private and professional life. 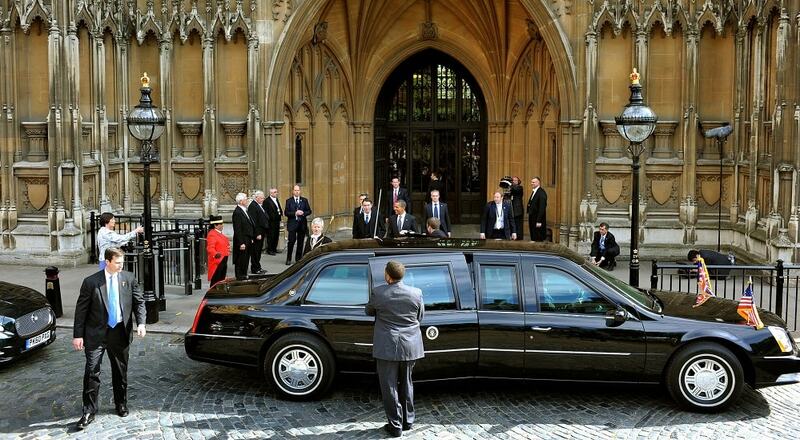 S has been employed as a Team Leader for HMG Close Protection operations for the last 15 years. He has extensive experience of high profile and high-threat operations across the globe. He is a Lead CP and Conflict Management instructor with over 25 years instructional experience. S2 is a former member of UK Tier 1 Special Forces (22nd Special Air Service Regiment) leaving in 1998 after 17 years exemplary service attaining the rank of Warrant Officer. During his military service he worked extensively overseas in the most challenging of environments and saw operational service in Northern Ireland, Iraq and other classified areas. During his time with the SAS, S2 was a CP instructor involved in the delivery of CP training tasks to overseas governments and military forces as a team leader. Since leaving the Military S2 has worked for 16 years in a multitude of security disciplines but primarily CP. He has provided Close protection to UHNWIs around the world, trained foreign Police and corporate CP teams and recently served 14 years as a Close Protection team leader in Europe. B is a former member of the Royal Military Police Close Protection Unit leaving in 2014 after nearly 26 years exemplary service attaining the rank of Warrant Officer. During his military service he worked for 17 years as an operator and instructor, finishing his career as the Training Warrant Officer of the Close Protection Unit. During this time he worked extensively overseas in some of the most challenging of environments and saw operational service in Northern Ireland, Iraq, Afghanistan and worldwide. He has a strong in-depth knowledge of Close Protection Operations, which has been gained by first-hand experience both with the Foreign and Commonwealth Office (FCO) and Militarily Worldwide, both operationally and on Short Term Training Teams (STTT). During his time with the Close Protection Unit he was a CP instructor heavily involved in the delivery of CP training tasks, both at home and abroad, with a two year tasking assisting with Royal visits. N is a former member of UK Tier 1 Special Forces (22nd Special Air Service Regiment) leaving in 2001 after 13 years exemplary service attaining the rank of Warrant Officer. During his time with the SAS, N was the units Sniper Instructor, CQB instructor and VIP Protection Instructor involved in the delivery of all Counter Terrorist and Sniper training of the SAS Counter Terrorist Wing (CTW). Since leaving the Military N has worked for 16 years in a multitude of security disciplines but primarily in the Operational Management and Close Protection of Board members of large Corporations overseas in high threat environments and the provision of Counter Terrorist and Special Forces training in Africa.